Grew Up… in Sicily. His father was killed by a powerful Sicilian crime boss, and Vito barely escaped with his own life. He swore to take his revenge one day, no matter the cost. Living… at the top of Italian-American organized crime in New York City. Vito rose to power in the 1920s and soon became “Don” of the Corleone family. By the 1940s, people are coming to Vito’s home on the day of his daughter Connie’s wedding and begging him for favors. Vito is “a fair man,” and doesn’t believe in handing out help without good reason. He has come to a point in his life of crime where he must ask those who come to him, “Why did you go to the police? Why didn’t you come to me first?” Given the power Vito has amassed, it’s a fair question. Profession… leader or “Don” of the Corleone crime family. Vito deals in all kinds of organized crime, from money laundering and bribery to dirtier acts like assault and murder. Interests… the good of the Corleone family. With great power comes great responsibility, and Vito is a very powerful man. His primary concern is moving the family business forward, and destroying anyone who stands in his way. Relationship Status… married. His wife, Carmela, is loving and understanding of his job. She accepts what he must do in order to keep their family in power. 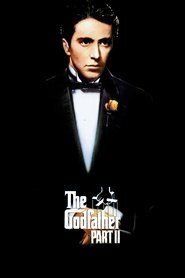 Challenge… bequeathing the Corleone empire to the next generation. He spent his entire life trying to make something worthy of passing on, to create a respected name for his family. And in his later years, he feels that he has been successful – though in his line of work, the struggle never ends. There are hired killers waiting around most every corner to take the Corleone family down. Personality… gracious, intelligent, and soft-spoken, but iron-willed. Vito is the kind of man that would rather use two words than 10. He believes in brevity as much as he believes in justice and honor. Family comes first. He is a great ally to have, but a dangerous enemy. 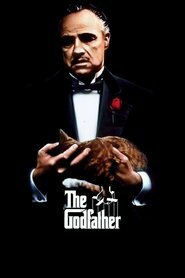 Vito Corleone's popularity ranking on CharacTour is #466 out of 5,000+ characters. See our top-ranked characters and read their profiles.